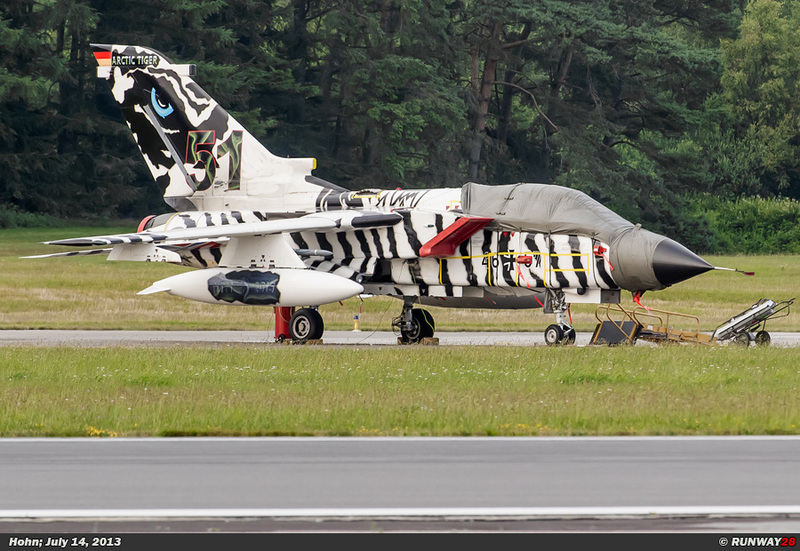 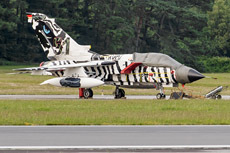 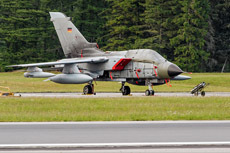 The North German airbase Hohn is the home base of Lufttransportgeschwader 63 (LTG-63). The base is located in the north of the country near the Danish border. 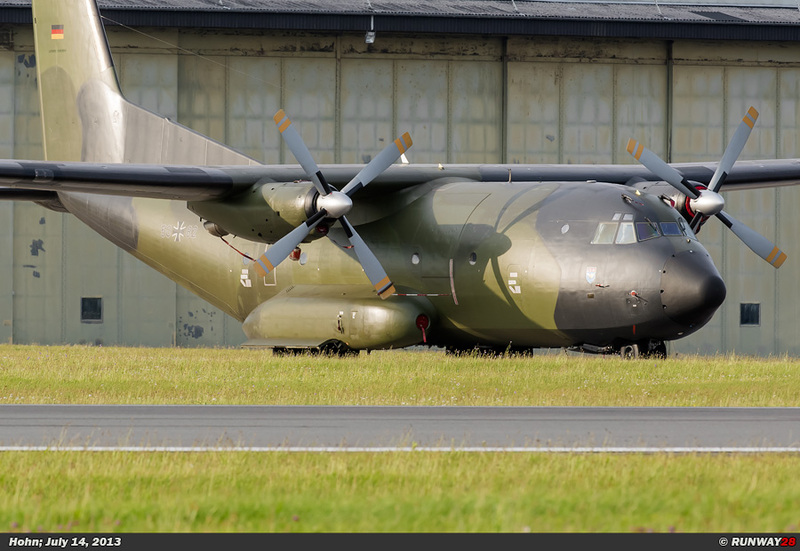 LTG-63 is equipped with the C-160D Transall. 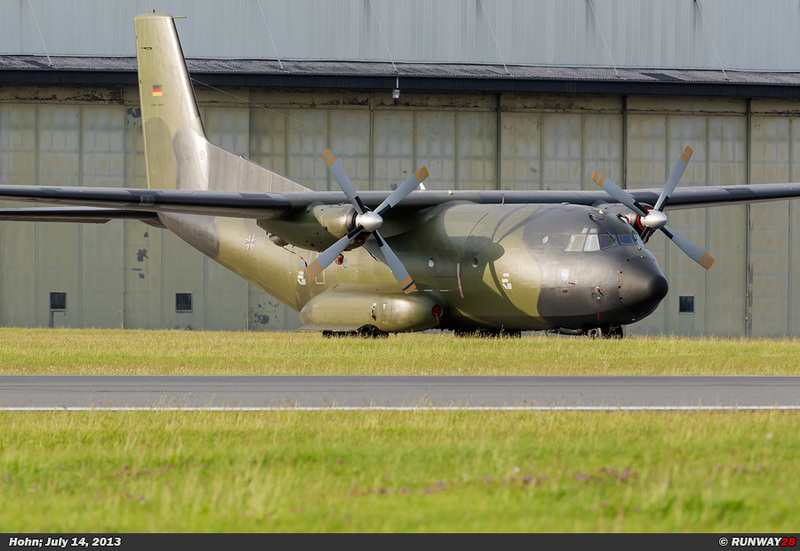 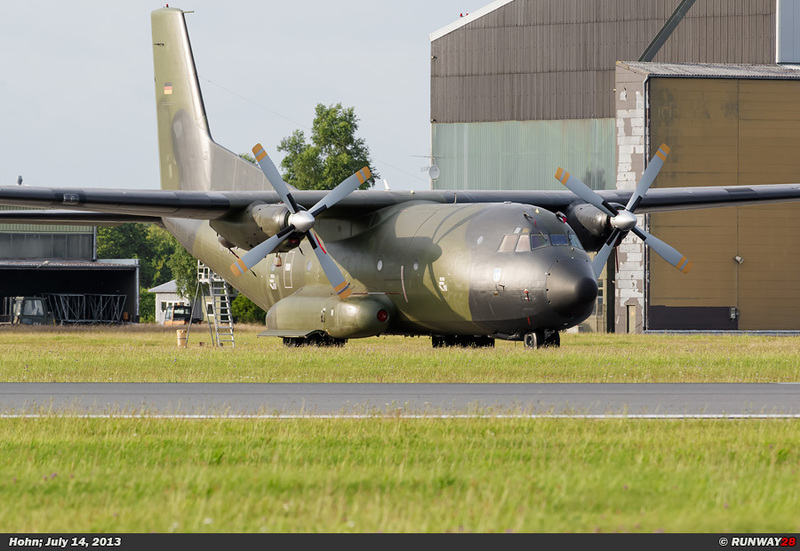 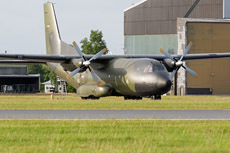 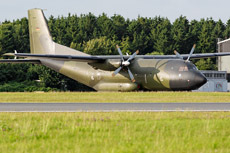 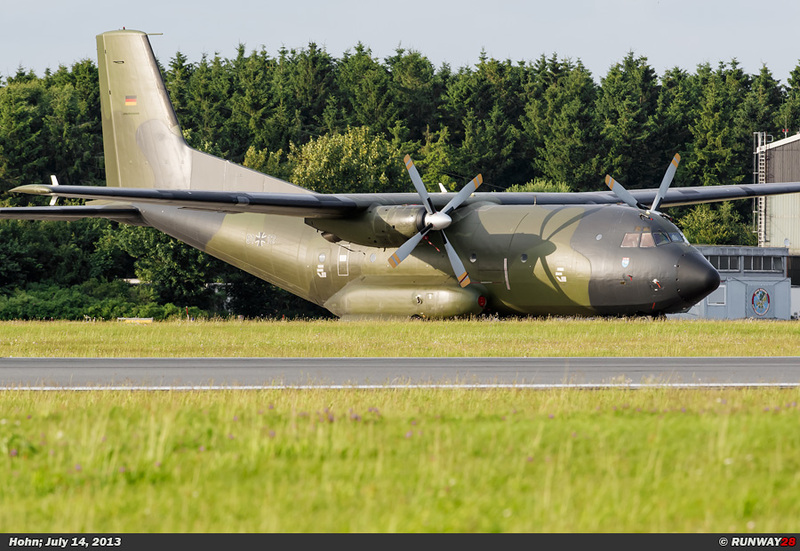 This aircraft is the main transport aircraft of the German Air Force and will be replaced by the Airbus A400M Atlas within several years. 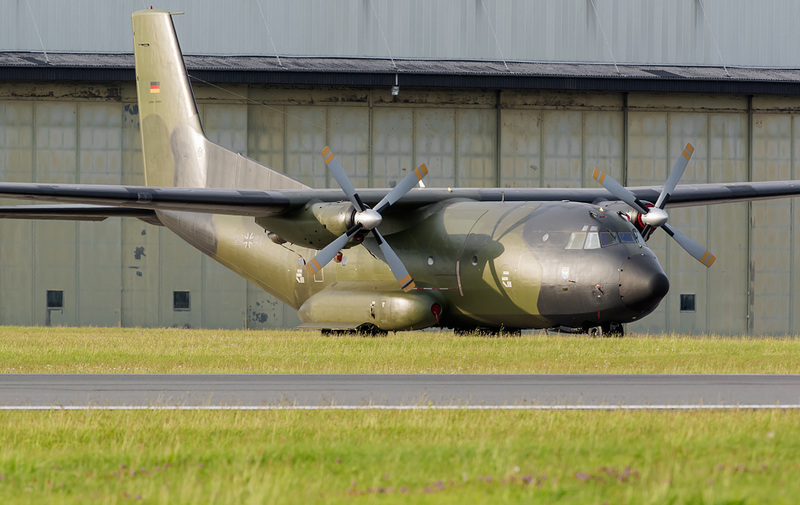 Hohn will eventually be closed with the introduction of the Atlas. 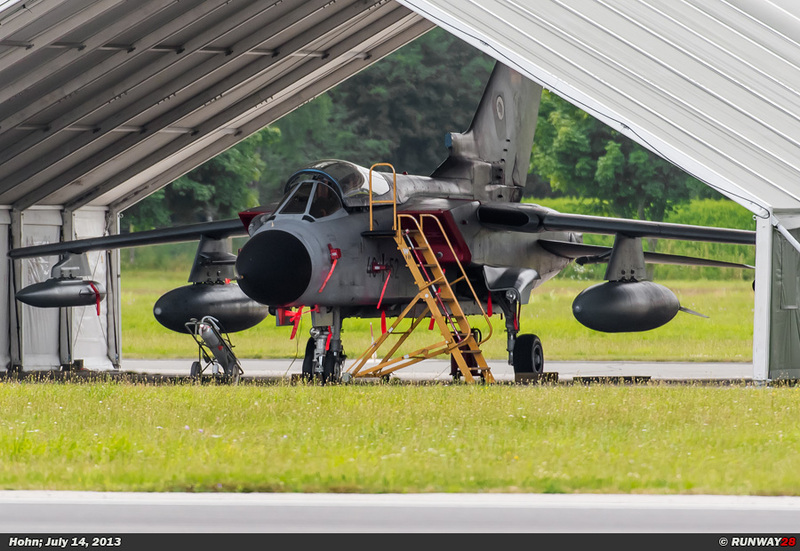 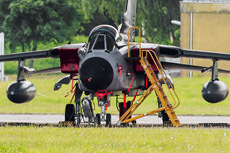 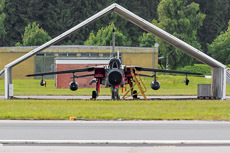 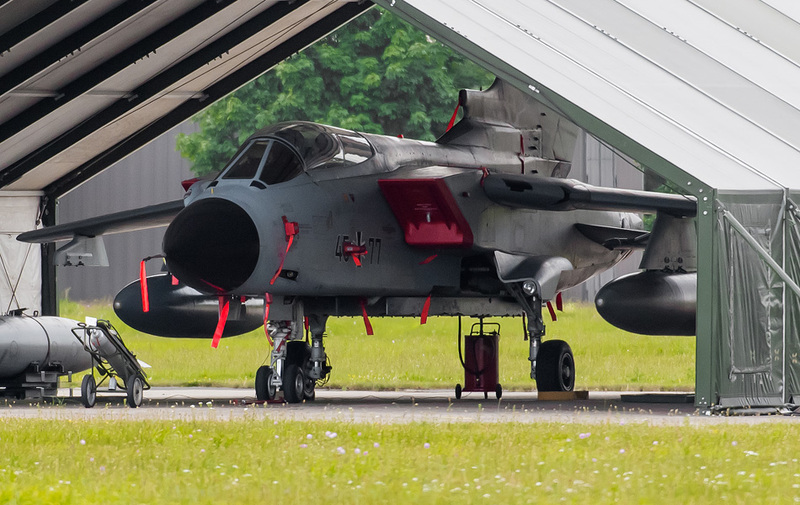 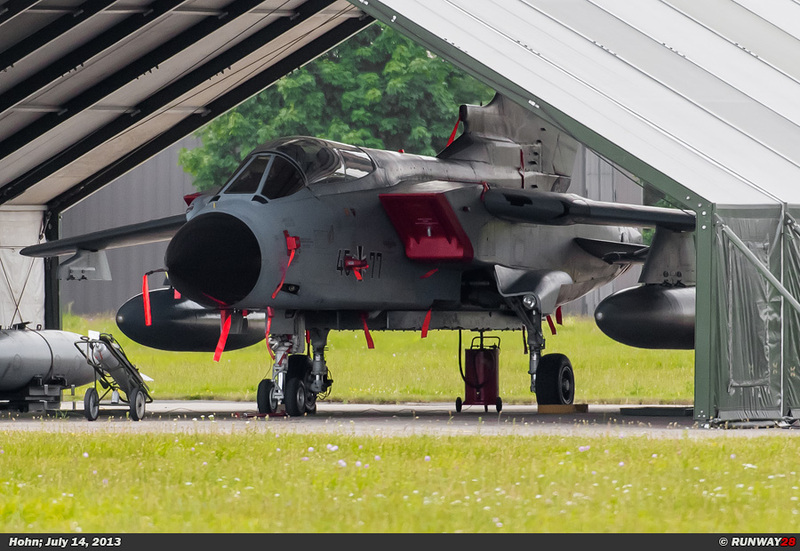 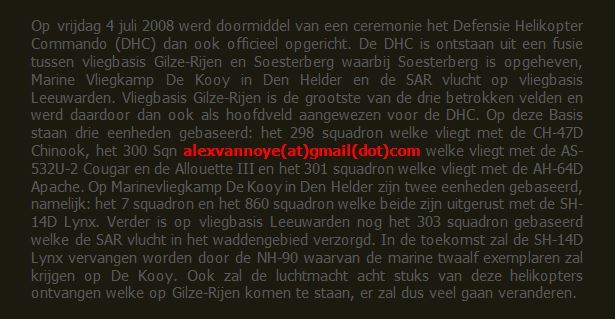 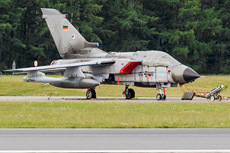 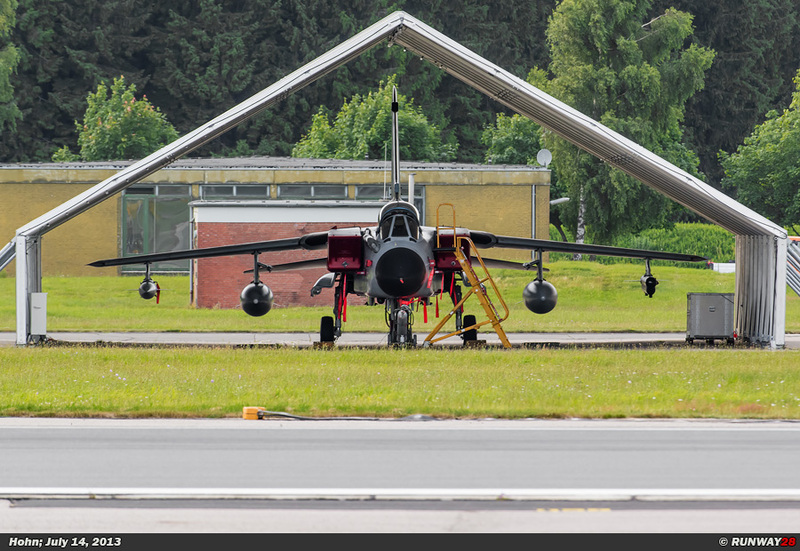 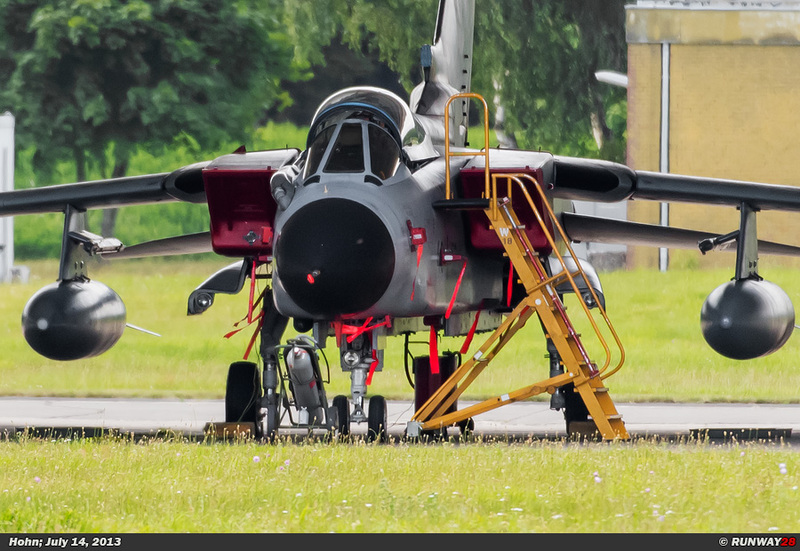 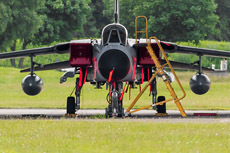 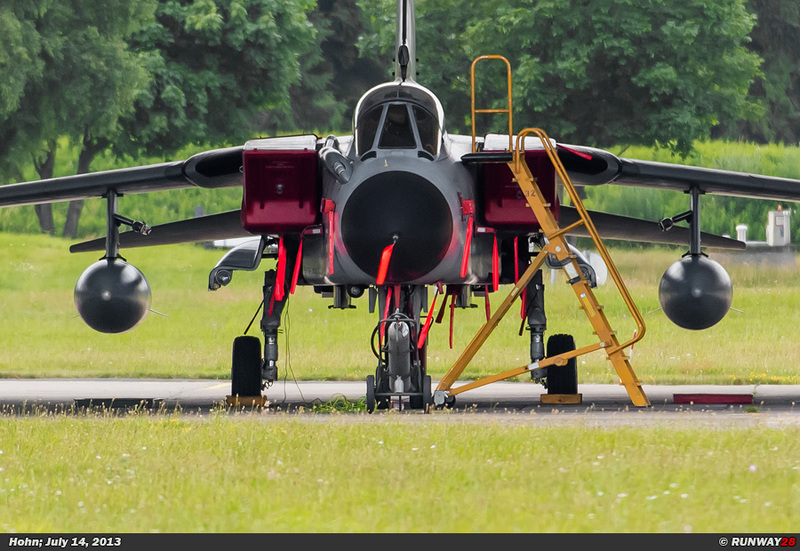 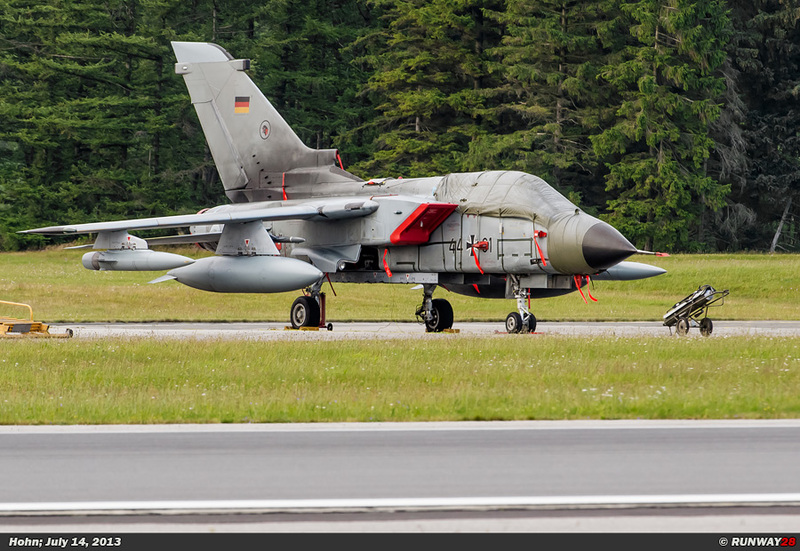 The Tornado’s of the nearby Schleswig-Jagel will temporarily be based at Hohn in July and August 2013. 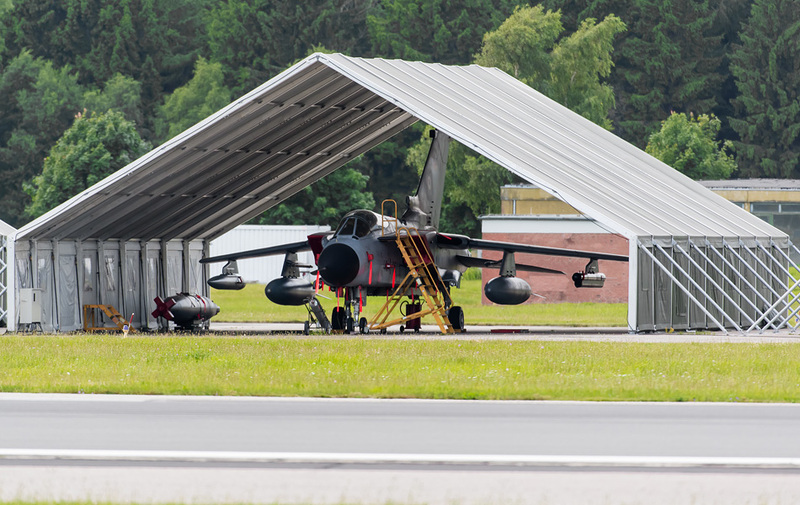 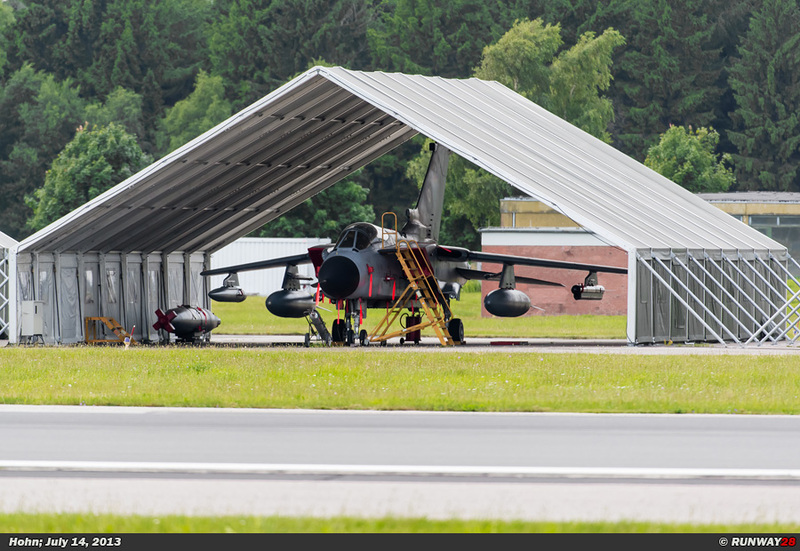 The Tornado’s of AG-51 fly temporarily from this base, because their own home base has a runway which is renovated. 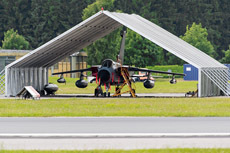 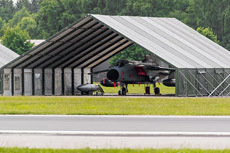 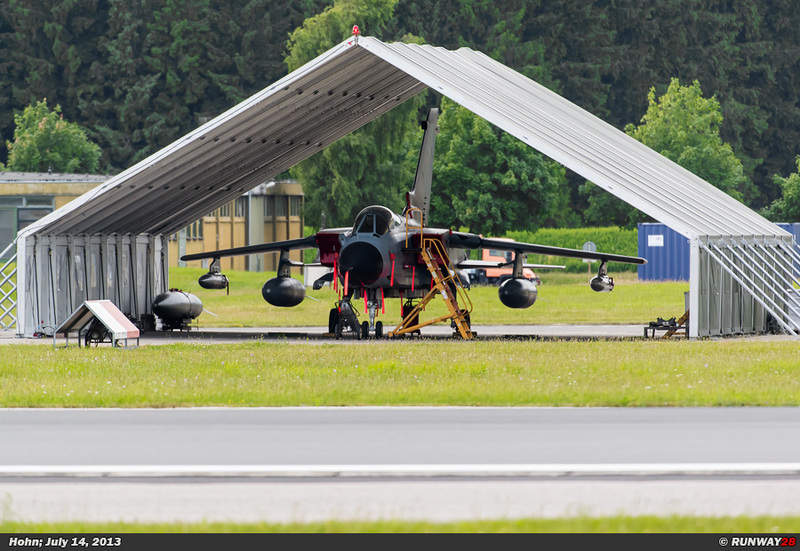 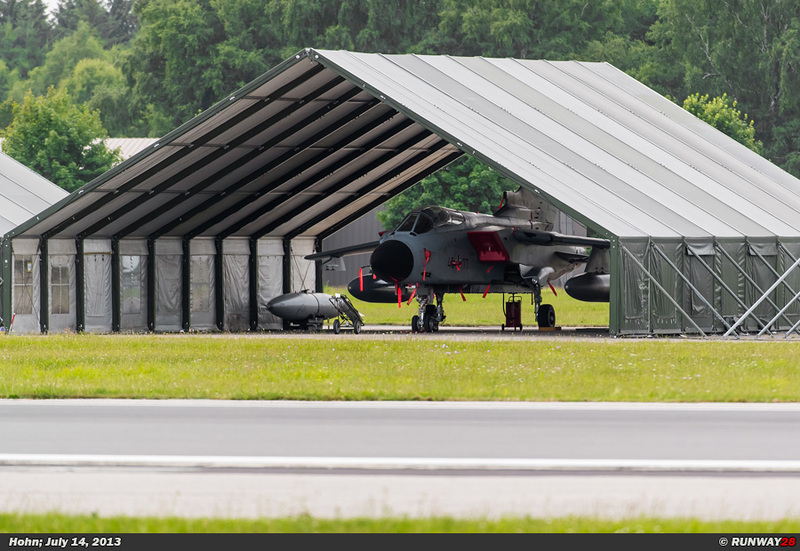 The aircraft are parked outside and under special sun shelters.